I came up with this recipe by accident. 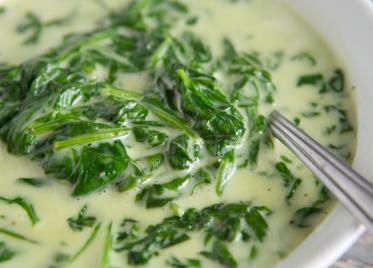 I had a ton of fresh spinach from our garden that I was cooking on the stove and just tossed in a jar of the Alfredo. 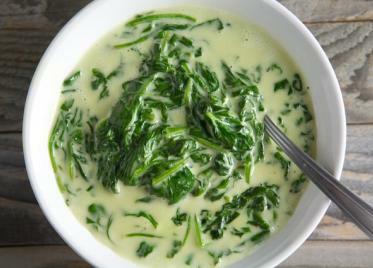 Next thing you know I had cream of spinach and it was delicious!! 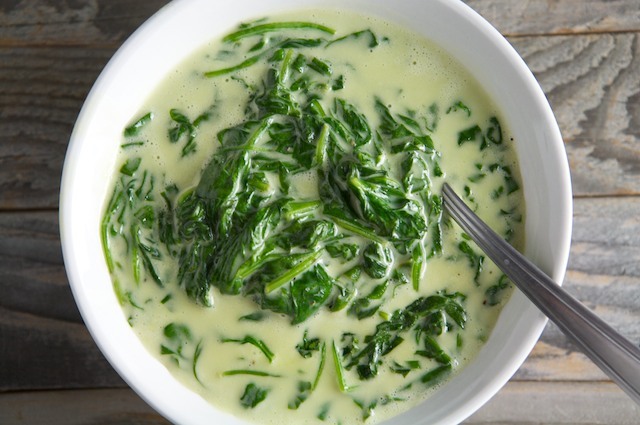 Place Alfredo, spinach and cracked black pepper in pan. Warm over medium heat until totally wilted, about 10 minutes. Stir. Toss in some cooked chopped bacon, just because you can! 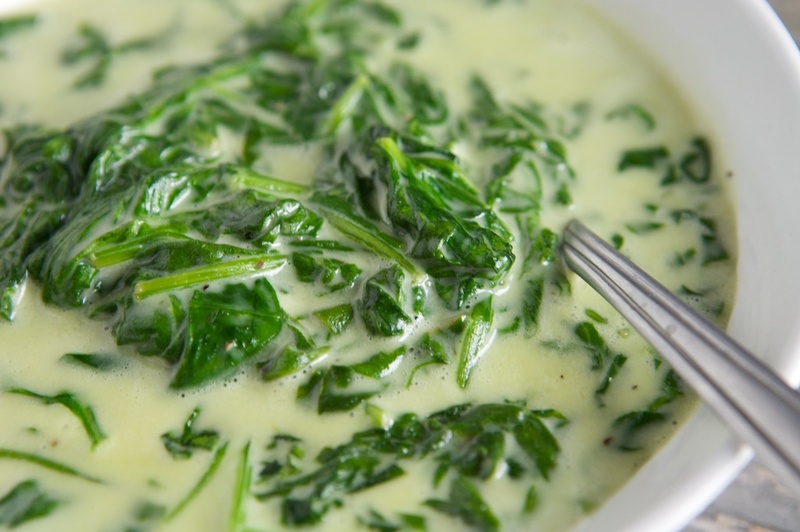 So often people think white sauce requires a pairing with white wine. Not true! This delightfully rich and healthy dish wants a Washington Sangiovese, Barbera, or perhaps a Tempranillo. Hunt the shelves in your local wine shop, as you will find plenty of delicious examples.